Podcasts are a great way to educate yourself. Whether you’re on the train, in the car, at your desk, or anywhere in between, this medium is an incredible vehicle to supplement your industry knowledge. 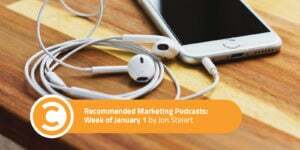 Every week, I’ll be sharing with you some of the best marketing podcast episodes around, spanning the whole marketing landscape. What happens when we make mistakes? Well, if you’re anything like most of us, you’re probably embarrassed and want to ignore it, hoping it’ll go away. In this episode of the Experience THIS! 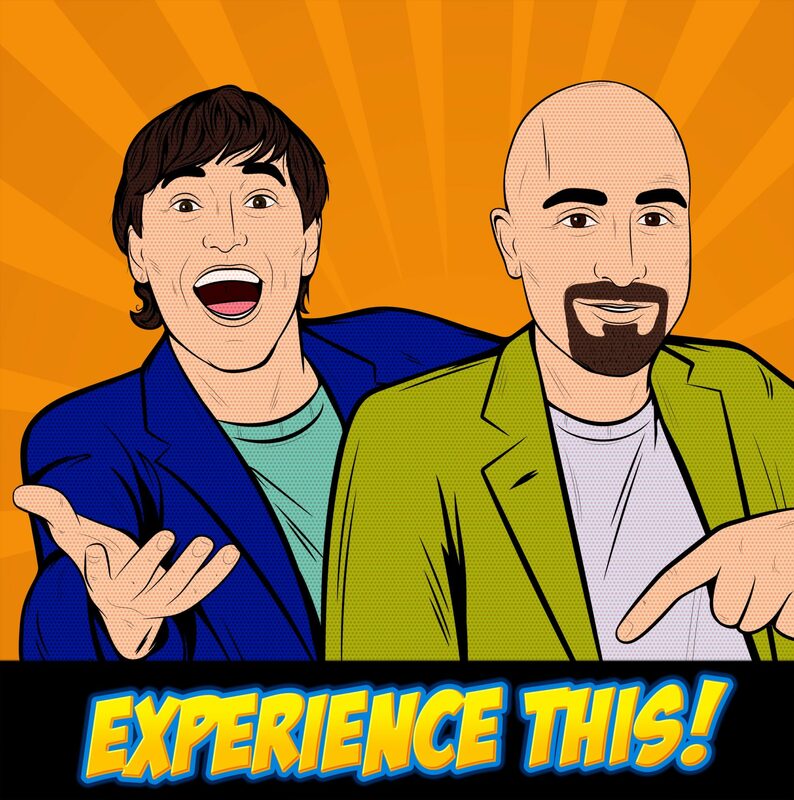 Show, hosts and customer service and retention experts Joey Coleman and Dan Gingiss review two very high profile stories from Tesla and Netflix. These stories made headlines, not because of how terrible a customer had been treated, but rather how adeptly top company leaders handled customer communication in two very tricky circumstances. Learning from our mistakes, or hugging our haters, gives us the opportunity to take a crummy situation and make it into a positive one. Seeing how Elon Musk responds to prospects on Twitter gives clear direction to the rest of his company and leaves a remarkable impression on the rest of us. If a man running just about every cool company in the world can respond to a complaint on Twitter, we can, too. As Dan says during the middle of the episode, “People will do the right thing if you give them the chance.” In this case, he was referring to the legal response from Netflix’s legal team over an unaffiliated Stranger Things pop-up bar in Chicago. Sometimes we need to get the law involved when it comes to intellectual property. How you choose to invoke your rights, however, can determine whether your assertions leave a sour taste in a superfan’s mouth. Building honest relationships means being honest and clear with the other party. As we keep marching further into ‘the future’, it’s becoming more and more apparent that transparency is a key differentiator. Thanks to the same technologies that have enabled us to become connected to people we would have never met before, we’re now more divided and insulated than ever before. 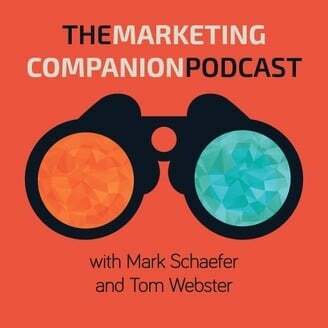 As hosts Tom Webster and Mark Schaefer discuss in yet another excellent episode of their bi-weekly podcast, the social web has created “digital cocoons”. Takeaways: This entire episode is dedicated to the toll technology, social networks, and the gobs of data both have generated is taking on humanity. In short, people are starving for connection at an all-you-can-tweet, social buffet. While research shows we are more apart than ever, people desperately want to feel they are a part of ‘something’ as well as making a positive difference in the world. As I’ve written before, and as I’ve heard plenty of other smart marketing leaders say recently, the companies who find the people who share and identify with their mission and values will win in the long run. Do you know what your company stands for? Leave it hosts Christopher S. Penn and John Wall to jump right into some heady topics without much warning. 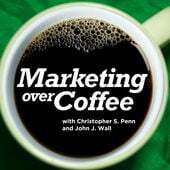 The two Boston-based marketing leaders kicked around what Christopher has been up to in regards to Topic Modeling, John’s thoughts on how to get the most out of conferences—even if you don’t have physical representation on the ground—and how to train AI. Like I said, it’s heady stuff for an 18-minute show. Takeaways: If you, like me, had never heard of Topic Modeling, fear not, as I’ve got the definition for you right here, courtesy of Wikipedia. It’s similar to Social Listening, in the sense that you can use Topic Modeling to determine trends and other insights that can help guide your short and long-term business strategies. Google has also built an AI that is training other artificially intelligent machines… which is insane until you listen to Christopher describe it. The AI’s building the new AIs are more powerful and useful than anything a human could build. The applications of AI continue to be nothing short of fascinating. That’s all for this edition! I’ll be back with a new batch next week. In the meantime, share any podcasts you think I should know about with me @jwsteiert on Twitter in the comments below!